Watch our live stream here when active. ﻿Barring any technical difficulties, our services are all live-streamed on YouTube. You can view archived services by visiting our YouTube channel homepage. Barring any technical difficulties, our services are all live-streamed on YouTube. You can view archived services on our channel as well. To access archived services, please visit our YouTube channel homepage. Click on the button below to subscribe to our channel. You can then set your preferences to be notified when we go live. 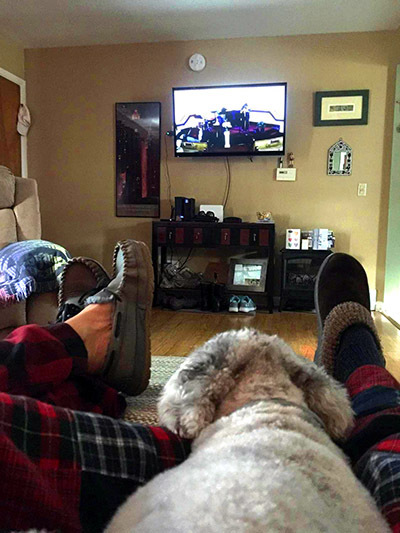 You can come to church in your pajamas and bring your dog, too! Join our live stream! Thanks to Patrice and Margaret for the photo. The mission of Unity Church in Albany is to awaken to and embrace the Christ in all persons through prayer and service.